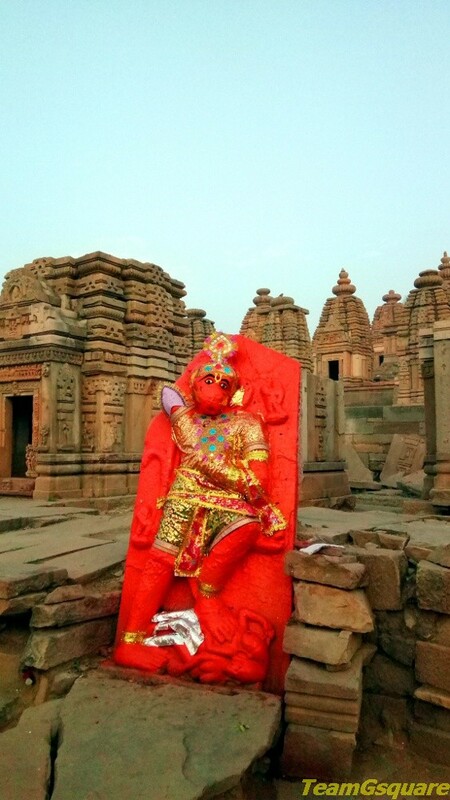 Bateshwar, a small uninhabited village about 2 km from Padhavali is home to 300+ temples in a complex spread across 20 acres. 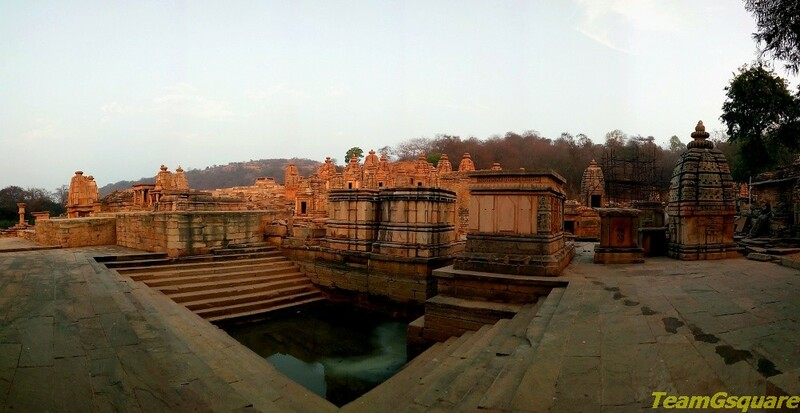 This place reminded us much of Aihole, another beautiful place where temples outnumber the houses in the village. 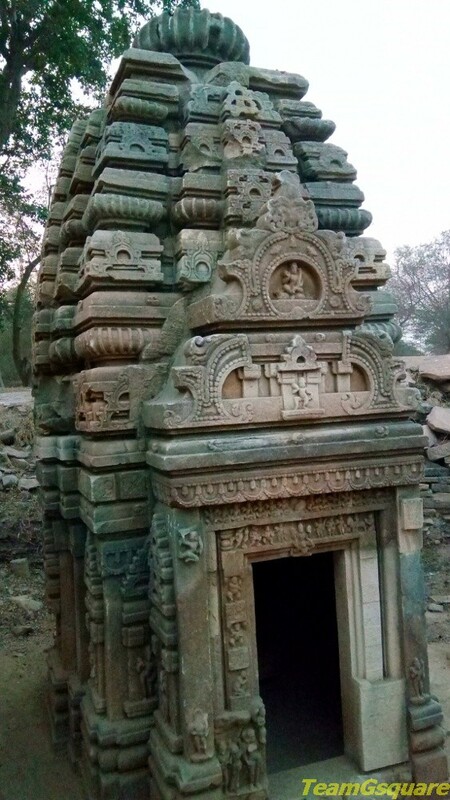 The group of temples at Bateshwar were built between 6th - 12th century AD by Pratiharas and Kacchapaghatas kings. The temples here were restored due the efforts of the ASI chief Mr. KK Muhammad during his service, who took a lot of pain in getting this place back to its shape. While the majority of temples here are dedicated to Lord Shiva, a few are dedicated to Lord Vishnu. 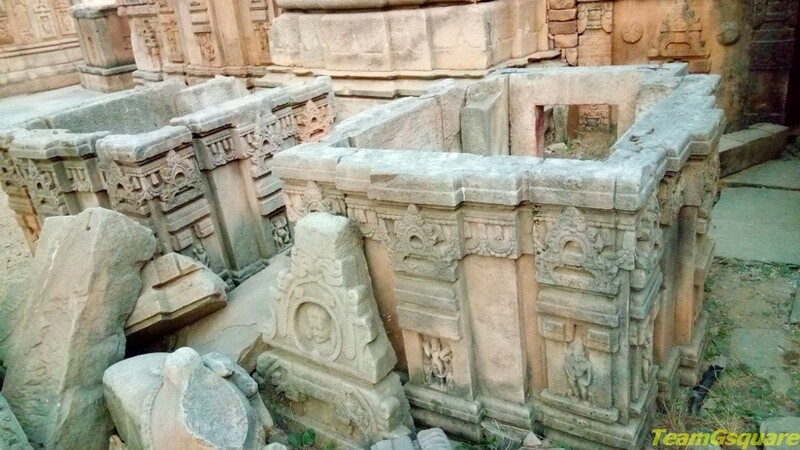 The many temples here showcase various stages of temple construction from an early stage characterized by flat roofs to temples with curvilinear shikaras. The largest temple here, known as Bhutesvara temple is a perfect example of Pratihara architecture. There are a few temples also dedicated to Lords Surya, Ganesha and Anjaneya. 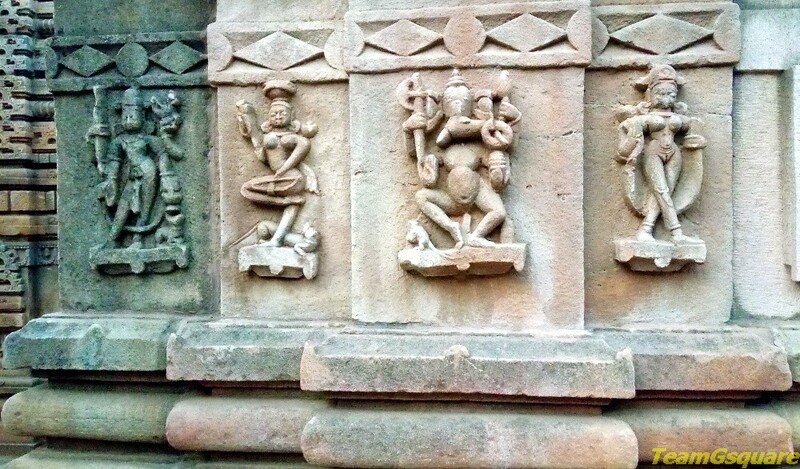 While most of the temples here are simple and plain in outlook without much carvings or decorations on its outer walls, a few portray exquisite carvings on them. The architecture here resembles that of the later Gupta architecture, which was further improvised. Most of the temples here have only garbhagrihas with shikaras, housing a Shiva Linga or an idol of Lord Vishnu, while a few remained empty. This complex was ruined and in a damaged state when a team of ASI archaeologists lead by Mr. KK Muhammad reached out to rescue the complex. 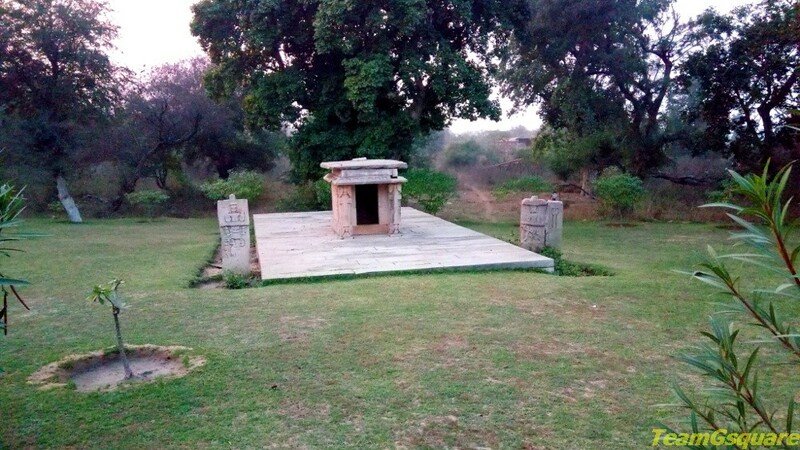 This site had remained inaccessible due to dacoits who had made this place their hideout. Few rounds of negotiations between Mr. KK Muhammad and the leader of the dacoits finally paved way to the development of this site. The care taker here takes pride in sharing the stories of Mr. KK Muhammad and also shows us the photos of before and after of this place. Mr. KK Muhammad retired few years ago, which consequently led to a slow down in the progress of the restoration work here. How to reach Bateshwar: Reach Nurabad which is located on the Gwalior-Agra Highway, take right turn towards Padhavali, about 2 km from here is Bateshwar. It is about 32 km from Gwalior. Where to eat: There are a few road-side eateries in Padhavali that make tasty chats, especially Aloo Tikki. 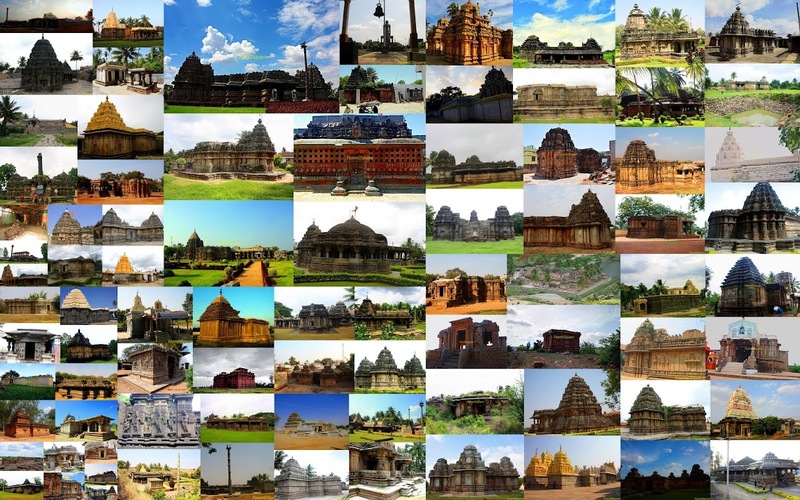 Nice to know about this list of temples. Yeah, did seem similar to Aihole and Pattadakkal. Beautiful place and the shots are superb, will be delighted if i can visit. The temple complex is so Wow! I went on a long road trip to M.P. last year but sad, I didn't know about these temples back then. Anyway, the next time I am in M.P., these are definitely gonna be on my itinerary! This place looks so colorful and looks like beautiful. Loved this post. I think one can spend free days going around the temples. Never been to MP except for a small stay in a place called Vindyachal ages ago. I have shared this post. Let out reach more.